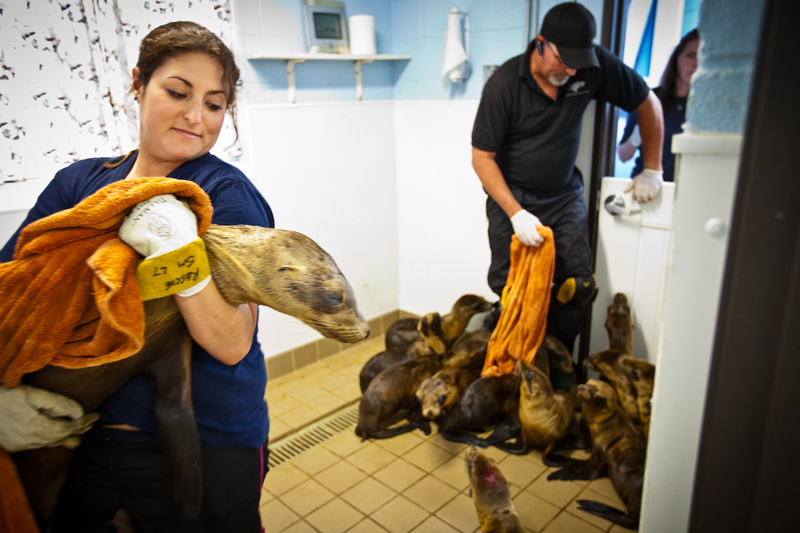 Volunteer Priscilla Salazar cradles a starving sea lion pup on its way for feeding, as others crowd around animal care supervisor for the Pacific Marine Mammal Center, Dean Gomersall. "You have to watch out," he says. "They will zombie around you."